BVillain releases his new original “Milk.” Contrary to the suggestion of the cover, BVillain isn’t missing. When he isn’t on his 20 days/nights a month touring schedule, he will be pumping out tracks we all can groove to. Many in the industry feel this is a HUGE track and has claimed that “The Shred is here”. “MILK” is a track that gets you going to crave that Milk! Remixes are coming, look out for those! Hormone Free, Organic Only, Good ole…MILK! 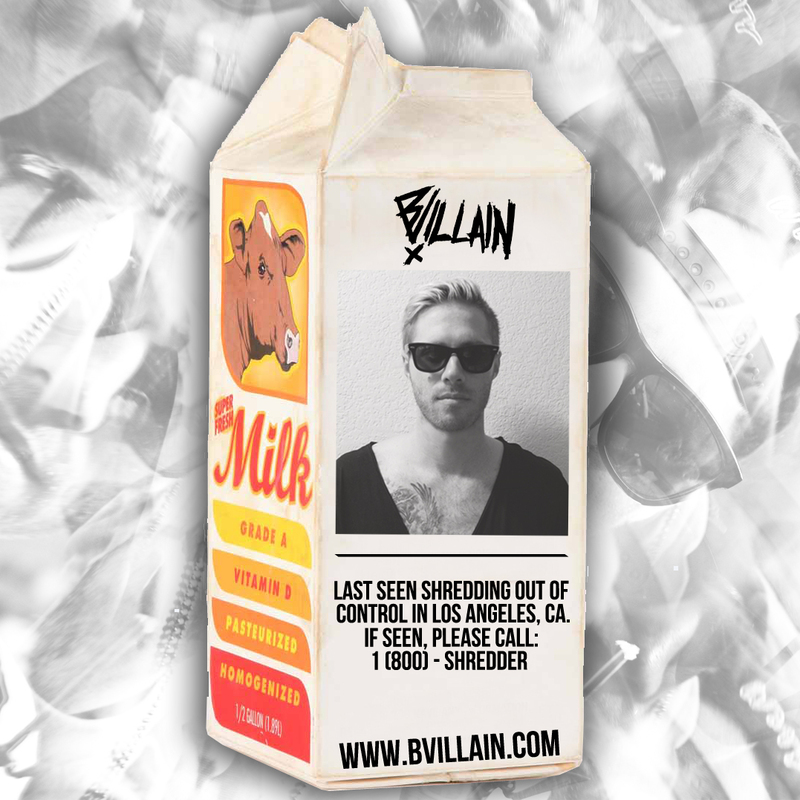 For BVillain, shredding is a way of life and he proves that at every show with high energy EDM/ Trap music to keep the crowd off their feet and constantly engaged. The past four years have consisted of non-stop touring while performing with artists such as Sky Blu of LMFAO, Shwayze, Cam Meekins, and more. With over 100 shows a year, there is no slowing down as the producer continues to put out new music and consistently gain new popularity.